The is a great photo with good color. I'm just not sure I like the search light in the middle. It almost ruins the feel of the rest of the photo. nice, very nice. I'd love to see this with advanced editing I think the boat is suffering from having the same treatment applied across the whole photo. really cool shot. 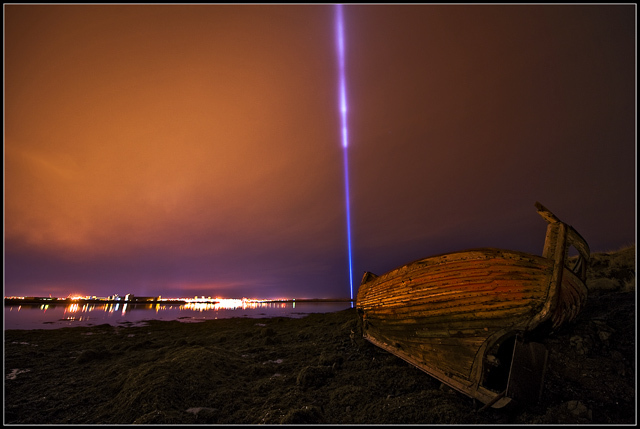 If it was me I would have focus more on the beam of light and the boat as there is noting on the left hand side of the shot. Proudly hosted by Sargasso Networks. Current Server Time: 04/20/2019 02:20:59 PM EDT.